Briar Rock Farm – Briar Rock Farm – Irish Terriers raised by the family on the farm creating the perfect all around family pet. We also provide woodland and pasture raised pork for the discerning palate. Welcome to Briar Rock Farm! Enjoy browsing our site to find out more about the animals we raise and the life we love! 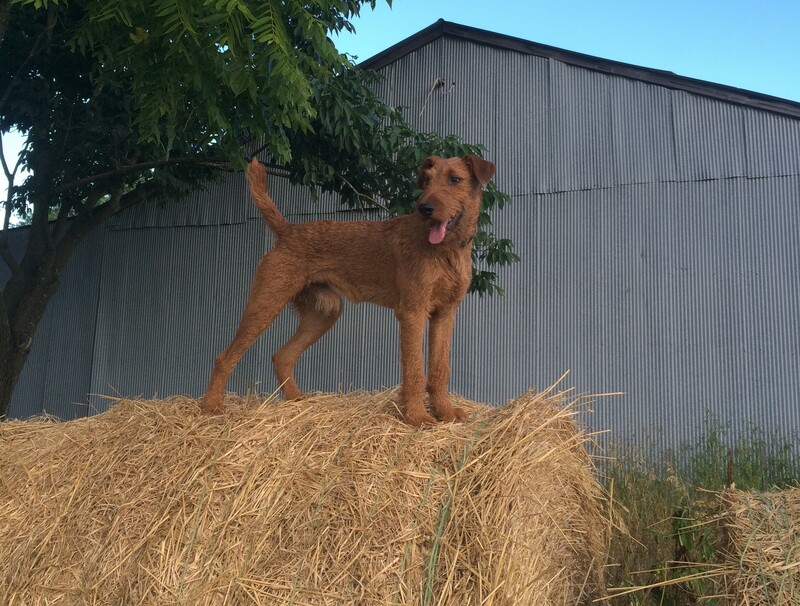 Irish Terriers are the perfect family and farm dog. To find out more about them visit our Irish Terrier page or stop by the AKC Irish Terrier page for a more detailed history and description. We occasionally have puppies available. Make sure you stop by our Puppy page. 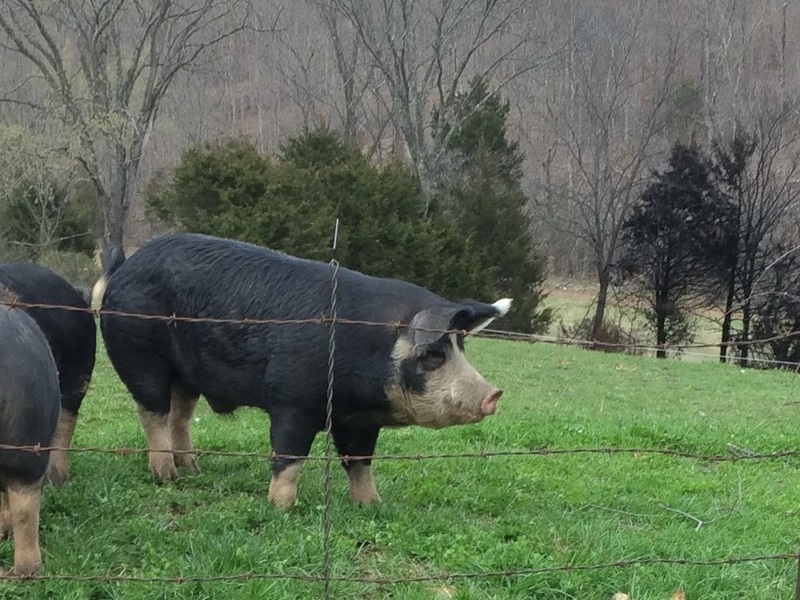 Berkshire pigs are a wonderful addition to any farm. They are calm, amiable pigs that love to root and roam. All it takes is a scratch behind the ears to make them fall over for a belly rub. Their meat is very red, exceptionally marbled and has a flavor that sets it apart from other breeds. 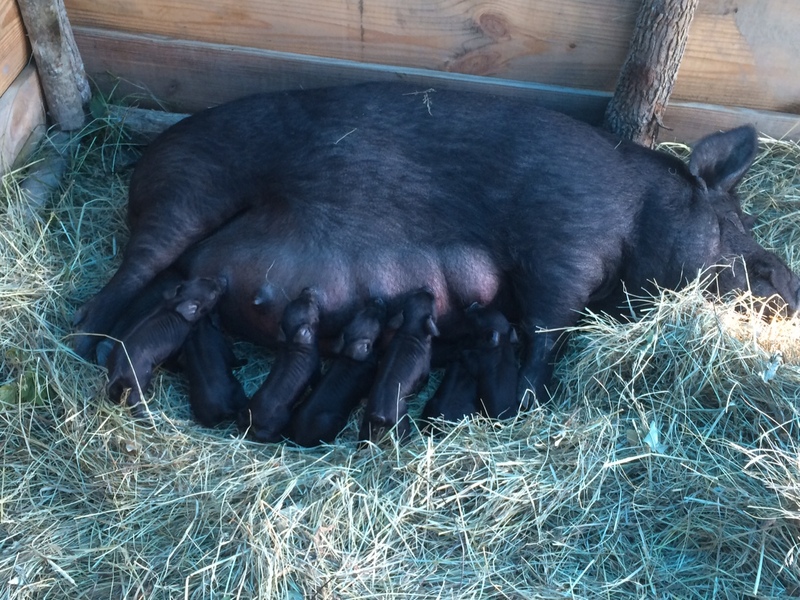 American Guinea Hogs are perfect for the small farm. Their moderate size and friendly nature make them a joy to be around and much less intimidating. Their ability to forage make them very thrifty keepers. They produce fantastic marbled meat and much coveted lard. To find out more visit our American Guinea Hogs page or stop by the American Guinea Hog Association website. “Just wanted to give a shout out to the Briar Rock Farm and all the hard working red headed farm hands! We took our hogs to be butchered, that we got from them, and the butcher said they were the best hogs he has done. So if you need a good hog Briar Rock is the place!” – W.C.